Those of us who have experienced a migraine will know how painful the experience can be. Many times, a migraine can be so intense that we have to stop whatever we are doing because the pain is too excruciating. Traditionally, people have often turned to pills and medication to help relieve the pain of a migraine. However, as they begin to rely more and more on such drugs, the effectiveness of the drugs will start to diminish. Thankfully, with today’s advanced Brainwave technology we are now able to effectively reduce and eliminate the intense migraines that we get, without any side-effects whatsoever! Do you find yourself constantly suffering from excruciating migraines that leave you drained and unable to focus? Are you having difficulty concentrating on your work because of migraines? Is your personal, social and professional life being negatively affected by the migraines that you get? Finally, we can tap into the power of our brain to combat the negative effects of a migraine, using all-natural methods that do no require any pills, drugs or medication! 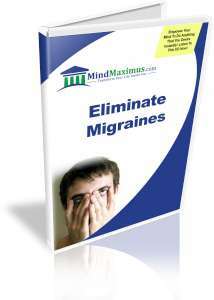 No reviews on G05 Eliminate Migraines so far.